Key actions businesses should take to help stop plastic packaging polluting the environment have been outlined by WRAP in The UK Plastics Pact Roadmap to 2025, published today. 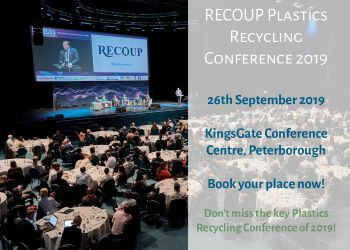 WRAP chief executive Marcus Gover said: “We have sixty-eight of the UK’s largest businesses and organisations committed to the UK Plastics Pact from retail and brands, manufacturers and hospitality, to the plastic supply sector, recycling and resource management. “I’m very impressed with progress made in the first six months since we launched the Pact. This is proving to be a powerful and motivated group. The Roadmap is a real opportunity for them to forge ahead and make change happen at scale, and in significant ways. The outcomes of the Roadmap aim to help reduce confusion as to whether packaging is recyclable, and if the targets are achieved, all plastic packaging will be recyclable or compostable by 2025. Interim targets for increasing recycling and recycled content are also included in the Roadmap. WRAP said that achieving this will require investment in the UK recycling infrastructure and would be expected to create new jobs, while easing the pressure of plastic waste exportation. The organisation has set three key milestone dates: April 2019, the end of 2022 and then 2025. WRAP is also looking to utilise flagship projects to tackle the barriers to improved sorting, recycling and use of recycled content. Film & flexibles recycling – front of store collections, kerbside collections, and end markets, with WRAP beginning trials to identify markets for recycled PE/PP film. The next steps for WRAP will be to continue encouraging UK Plastics Pact members to work together to influence design and selection of packaging materials and products, both own label and branded. Within the coming months, WRAP will publish further guidance on recyclability, including the recyclability of card-based packaging. To achieve the Roadmap milestones, members will need to create their own action plan that support each target, with WRAP monitoring the progress and identifying the opportunities for convening collaborative action.